It was announced this week that the co-founders of Instagram, Kevin Systrom and Mike Krieger, are both leaving the firm and parent company Facebook to ‘explore their curiosity and creativity again’. The public were shocked by this news with some believing that it was down to ongoing tensions between Systrom and Zuckerberg. The departure of the two founders creates uncertainty around the app – will Instagram be able to continue its longstanding success streak? –Only time will tell! Snapchat’s upcoming partnership with Amazon is challenging Instagram and Pinterest for social shopping supremacy. Soon, users will be able to use Snaphat’s camera to scan a physical object or barcode, which brings up a page showing that item (and similar ones) along with price, image, average review score and Prime availability on Amazon – for those wishing purchase the item. The feature could prove useful for when you don’t know the name of the product you’re looking at – for example a top or shoes. 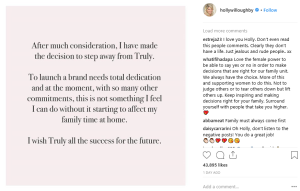 This week, Holly Willoughby announced a shock career move on Instagram, as she revealed her decision to step away from lifestyle brand Truly just months after announcing it. 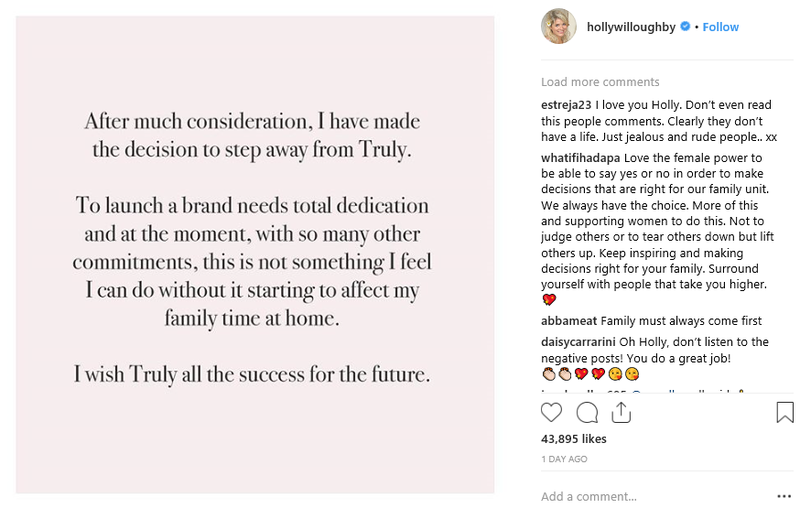 Holly’s posts received huge support from followers who praised the mum-of-three for making the decision. Facebook is rolling out ads on its Story platform for the first time as it anticipates more brands embracing vertical mobile in ad campaigns. Similar to Instagram, these new ads will include Facebook’s full ad targeting and measurement capabilities – and soon will be available in Messenger as well. Although it’s early days, Facebook is betting on Story Ads to be a major new revenue source. The Apprentice is back in business for another year – and for the first time ever, it has launched its very own Instagram page. Already reaching over a thousand followers, anticipation is rising ahead of its launch next Wednesday!